Created by Wayne Horvitz with Yukio Suzuki, Yohei Saito, and Tucker Martine, 55: Music and Dance in Concrete is a shifting site-specific multimedia performance featuring dance, video and sound installation. 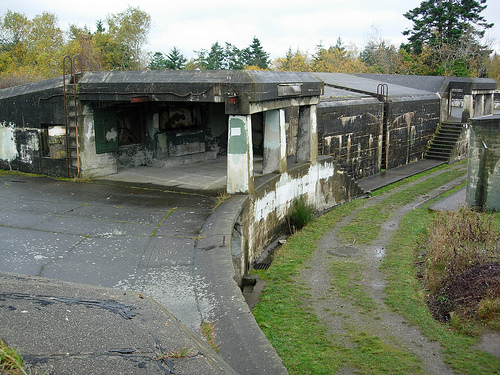 Designed to highlight the unique visual and acoustic elements of the chosen sites, the project’s foundation is an electronic score – a single work composed of fragments from 55 improvised and 55 composed pieces, recorded by ten musicians performing in the cistern and bunkers of Fort Worden in Port Townsend, WA. Charged with myriad acoustic phenomena found in the corners and turns of the spaces, and the cistern’s 45-second natural reverb, the score was composed and recorded with engineer/producer Tucker Martine during a 2012 Centrum Residency, for a collaborative installation and performance with video artist Yohei Saito and choreographer Yukio Suzuki/KINGYO. Performances will feature the same score in a unique utilization of each venue’s specific architectural and acoustic spaces. 55: Music & Dance in Concrete premiered at Fort Worden as part of Centrum’s Reverberations series, in addition to the Arizona State University Art Museum. Additional site-specific versions of the piece occured in Seattle presented by Rainier Beach Merchant Association’s (RBMA) Art Walk Rainier Beach, in association with SEEDArts. 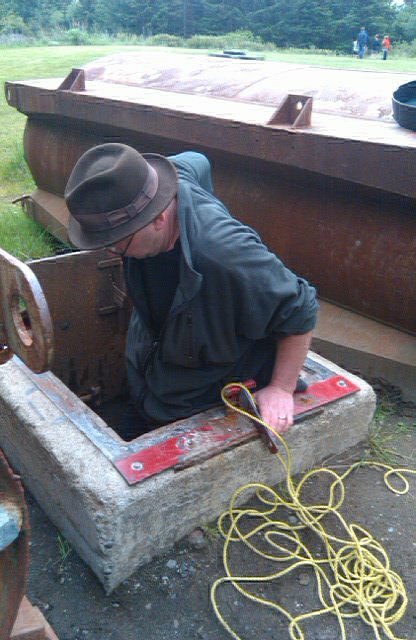 Based on a construct derived from a combination of numbers, Horvitz created a series of works to be recorded in the bunkers and cistern of Fort Worden, with engineer/producer Tucker Martine. 55 short composed pieces and 55 short improvisations (featuring musicians Eyvind Kang, Beth Fleenor, Briggan Krauss, Maria Mannisto, Victoria Parker, Heather Bentley, Rowena Hammill, Kate Olson, Naomi Siegel, and Steve O’Brian) were captured in the phenomenally diverse acoustics of the fort, including the Harpole Cistern’s 45-second reverb, resulting in 110 acoustic fragments to be utilized for the multi-media work. These fragments were then edited, sampled, processed and manipulated to make a single electronic score and multidimensional piece that can be modularly remounted in site specific locations. Even as the piece transforms from space to space, augmented by varying treatments, it is grounded by the single piece of electronic music Horvitz created with Martine in the darkened crevices and underground chambers of the 115 year old fort, that once guarded nautical entrance to Puget Sound. 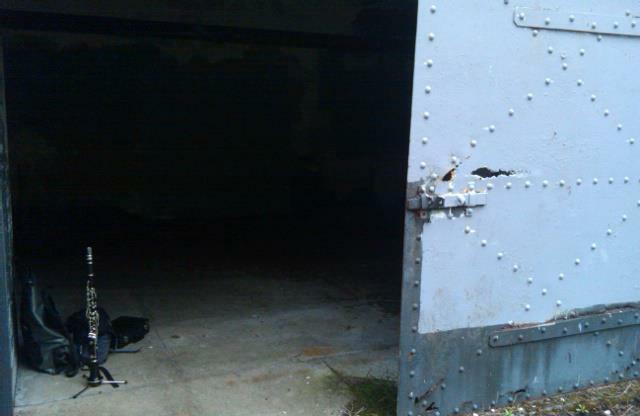 As a Centrum artist-in-residence on a number of occasions, Horvitz has long been fascinated with the unique spaces that make up the military fortification system of the circa-1900 army base, including the acoustic qualities of the Harpole Cistern. Nearly two-hundred feet in diameter and fourteen feet deep, the cistern was originally built as a water supply system. Now empty, the cistern features one of the longest known natural reverberation times of any interior space. Although the Cistern is internationally renowned for its acoustics, the batteries and horseshoe bunkers at Fort Worden offer equally beautiful and complex sound interaction. From the bright short slap-backs of the small spaces, to the languid pool of interplay in the winding hallways, each concrete room has its own acoustic quality, unique to its construction. “I have been walking the bunkers and tunnels of Fort Worden since moving to Seattle from New York in 1988,” said Horvitz, “but it wasn’t until I found myself performing behind a brewery in the pouring rain with Yukio Suzuki (at Portland’s TBA Festival in 2010) that I finally had a vision of exactly what I wanted to do. I connected with Yukio immediately. I found his movement stunning, disturbing but also easy to watch and joyful in its own way. A year later I was asked to work again at the TBA festival, and although Yukio was present, I collaborated with another like-minded choreographer, Yoko Higashino. 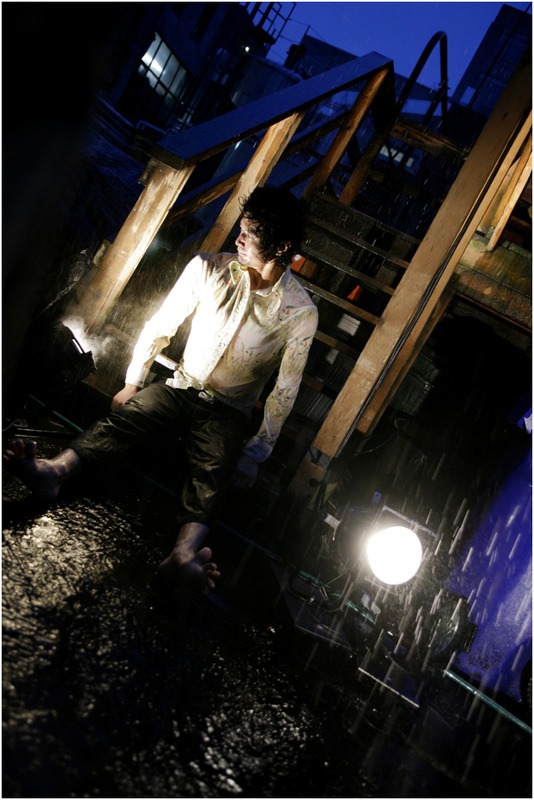 Involved in her work was the video artist Yohei Saito. In preparing for the piece I was sent an early draft of his part of the project. On a flight from NYC to Portland I watched the video over and over, and began to create a score on my laptop. 55: Music and Dance in Concrete is the manifestation of that vision.